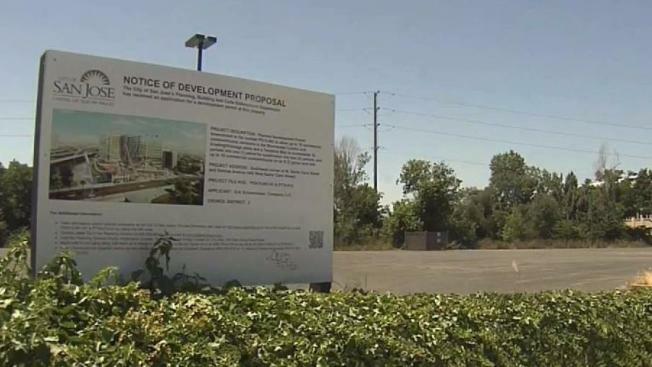 As Google moves forward with a plan to expand to San Jose, concerns about the tech giant's massive project are mounting. The latest tech campus in Silicon Valley would feature roughly eight million square feet of office space and bring as many as 20,000 news jobs to the area around San Jose's Diridon Station. The city hopes the project will propel the station toward becoming the Grand Central Station of the west. Last month, San Jose entered into exclusive talks with Google to sell about 250 acres of space near the station to the tech giant. An office project that size is more than double the size of Google's main campus in Mountain View. Packing those new employees into one of the largest cities in the United States has increased concerns about roadway traffic, over-crowding on public transit, housing space and housing affordability. Traffic concerns could be mitigated once BART and high-speed rail start operating out of the downtown San Jose area. San Jose has also put conditions on the development agreement. Taxpayers will not foot the bill for the project and there has to be a community engagement process to hear questions about the plan. Those community discussions will not begin before the 2017 holiday season.